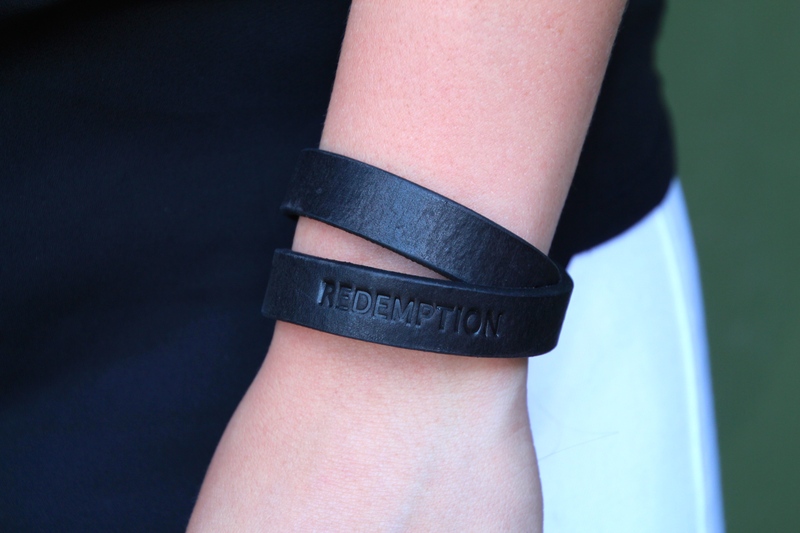 Maybe you follow me on social media and have seen some posts about the Redemption Collection with #staytuned. Well, stay tuned no longer! It’s finished and I am so excited to show it to you all. Basically, this is what it comes down to. I love Rosie’s Boutique. I love meeting new people as they come through. I have loved getting to know people who are here for the long run. I love treating people to milkshakes at Rosie’s. I love being able to continually support organizations by purchasing their product. I love how all of it is a full-circle thing: jobs, employment, community, support. It’s all mingled together in such a beautiful way. I love watching this God-sized dream of mine become a reality. One of the biggest things I still fundraise for is the Lazarus Fund – I would love it if you would click here and read my heart behind the Lazarus Fund. I wrote this blog over a year ago and as I reread it to prep writing this post, I was strangely blown away by how my heart is still searching for contentment on these issues, how God has worked miracles and provided in big ways this past year through the Lazarus Fund and how I still feel God’s hand upon this all. As I sit at Rosie’s, I am always dreaming up new ways to help people. 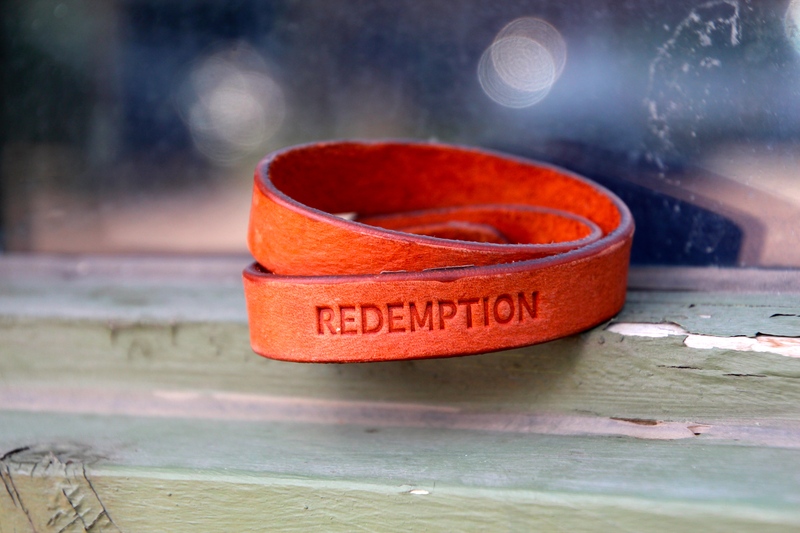 And while the word and idea of redemption has been on my heart for several months now (I have written about it in several of my latest posts) I thought why not make a jewelry line that represents the works of redemption happening through the Lazarus Fund and works that are still to come. The best part is the profit from this collection will go directly back into the Lazarus Fund: to fund more stories of redemption. Another beautiful full-circle thing, here. 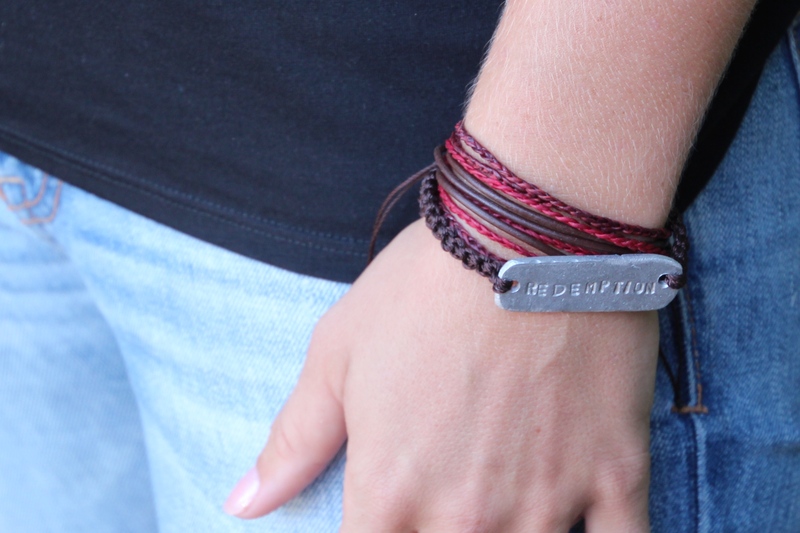 All of the jewelry in this collection was ethically sourced in Haiti. From leather and recycled aluminum to clay beads and birds, all of the pieces are unique and can be stacked together in fun ways. 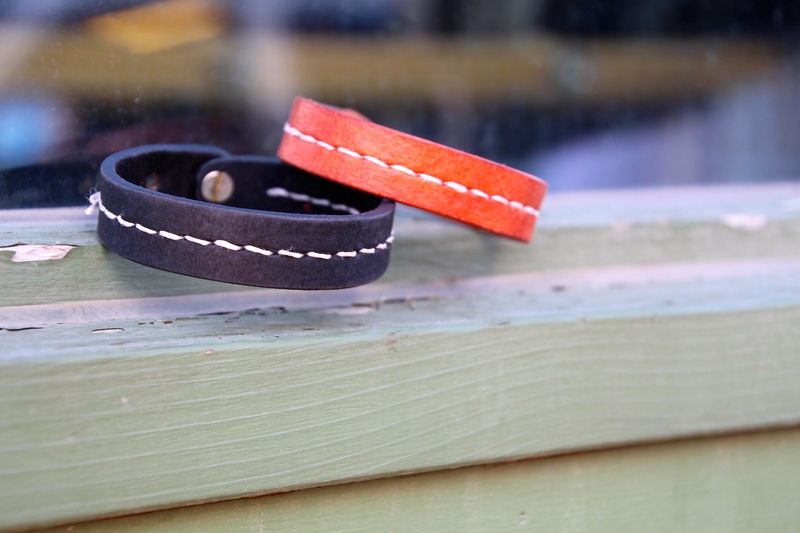 The jewelry was all handmade by artisans who are finding their way out of poverty. In the past several weeks, we have already sold enough from the collection to proudly give our first loan to a woman in the Starfish Program (a program ran through Tytoo Gardens Orphanage and managed by Ali Treloar, click here for more information on the program) Her name is Dorci Manese and she has come so far since entering the Starfish program, in fact, with this loan, we hope to see her graduate from the program entirely. Manese with her five children at school registration. All of them will be attending school this fall! She stands about 4′ 9″ but every inch of her small frame radiates encouragement to those around her. 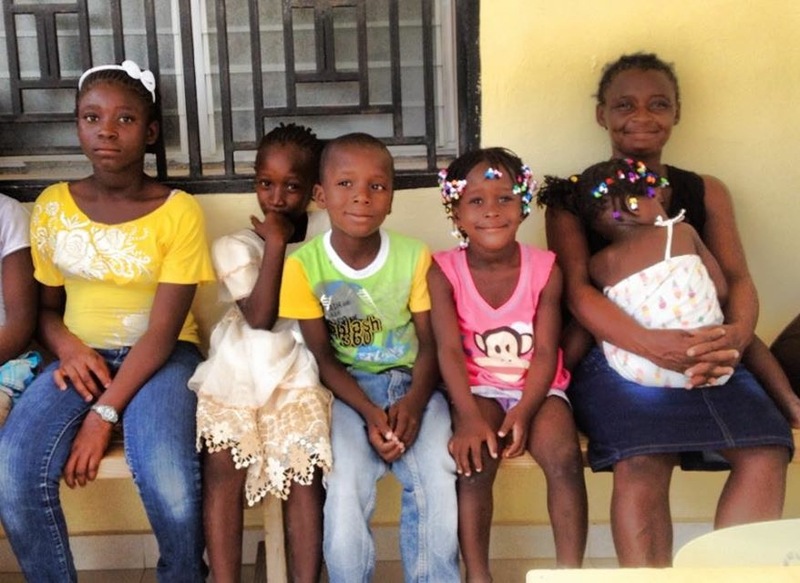 She has five chilren: a 2-year-old, 4-year-old, 7-year-old, 9-year-old and a 12-year-old. All of them are girls except the 9-year-old; he blends in well, however, as he is often sporting his sisters’ clothes. Clothing is very limited in their household. If you were to see their living conditions, it would surely break your heart, as it broke ours. It was just as tiny as the mother’s tiny stature. Somehow her and her five children find a way to fit inside. To them it is home, a place where they can rest at night. To an outsider, not even a place you would want your enemy to sleep. Ali met Dorci on the back paths of her village, Minotrie. Ali recalls her walking up to her with extreme confidence. She grabbed Ali’s arm and led her to her house. Ali was led down an unfamiliar path and knew immediately upon arrival at her house that this woman needed help. Ali admitted Dorci into the Starfish Program by the end of the conversation. Dorci attends Starfish Program meetings regularly. She is always promptly on time and is very sweet. Ali once dreaded having to visit their home because it was such a horrific situation. She had no resources to help the family at the time and hated seeing the suffering. 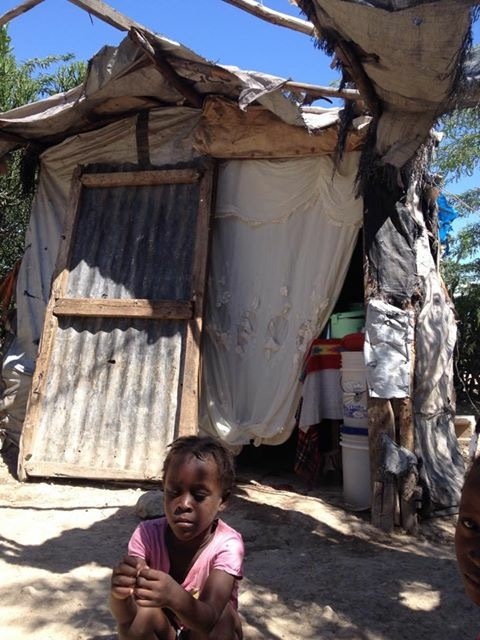 “I hated seeing how they lived and how the kids struggled to get by,” admits Ali. Dorci’s house truly defies gravity. It tilts in one direction and tears in the other direction. It once rained for 24 hours straight. After the 24 hour downpour, a Starfish meeting was held and Ali remembers Dorci’s bloodshot eyes. She hadn’t slept in over 24 hours and there was no life to be seen in her sunken face. She had been rained on for 24 hours straight, simply because her battered, gravity-defying piece of tarp that she calls home couldn’t hold back the rain. Usually it rains in the late afternoon or night here in Haiti. The mornings are spent drying out your house and your possessions. But, when the rain starts in the night and doesn’t stop, you never get a chance to dry out your things. During that Starfish meeting, Dorci pulled Ali aside and said, “Ali, I am being kicked out of my home.” She explained how she had built her tarp home on the land of a friend and the landowner now wanted his property back. She explained how the landowner would come to her house and throw rocks and yell threatening and horrible things to her and her five young children. When Ali first admitted Dorci into the program, she promised help, but knew in her heart she didn’t have the resources to truly help. For six months, Ali continued visiting the family and continued promising she would help. The very next day, after Dorci had explained to Ali the details of her living situation, a visitor came to Tytoo Gardens. Ali took the visitor to see Dorci and the visitor promptly made a donation so Dorci could have a new home. A home on her own piece of land, where threats would claim her no more. The new home was the beginning. Dorci soon got to start a small business selling rice, beans, spaghetti, oil and other commonly used Haitian food ingredients. She got this opportunity because of the Starfish Depot. 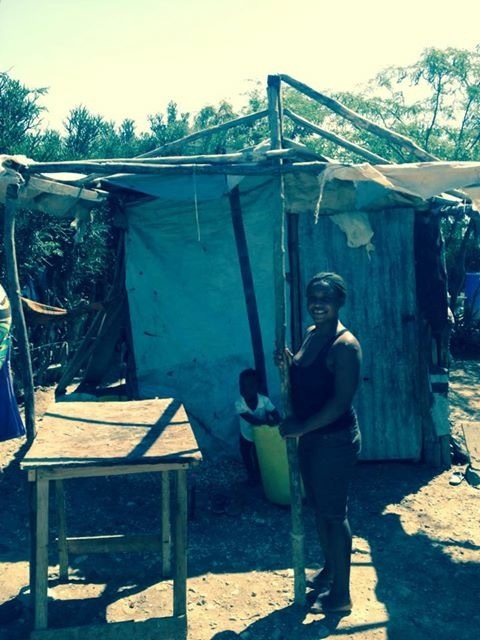 The Starfish Depot was founded by Ali and our superhero Haitian mami Sara. Sara is the head cook at Tytoo Gardens Orphanage and helps Ali solve problems for the Starfish Program. I have personally seen Ali and Sara in action and they are basically modern day superheroes on motorcycles. Sara is full of wisdom, grace and integrity. She’s not afraid to take in the hurt and bring them back to life. The Starfish Depot is right in front of Sara’s house and sits right on the main road (well, the only road) in Simonette. Ali and Sara buy all of the basic Haitian necessities at wholesale prices and sell to the Starfish women on credit. The women pay back their credit during their weekly Starfish meetings and Ali is able to keep them accountable as she visits them almost weekly as well. I think this depot is such a genius idea; I obviously had to make my own investment as well. The Lazarus Fund proudly donated enough money to the depot to provide 8 more women with businesses. We hope to have the freezer bought in the next week and I am sure to be the first person to buy a COLD coca-cola from her. Today, some of the pieces are now available on my blog! Click the Rosie’s tab above and browse the collection. Fill out the form at the bottom of the Rosie’s page. Once we receive your order, we will send you an invoice over PayPal. When we have received your payment, your order will be on its way! The collection is also available at Rosie’s in Haiti and soon to be available at Rosie’s in IOWA! My mom and a friend are opening a Rosie’s boutique and featuring “sit-a-minute” cafe. So, if you are ever passing through Rock Rapids, Iowa be sure to take a minute to stop by and shop at Rosie’s! Congratulations Kayla! This is so amazing. I love how God continues to be at work meeting the needs of those precious families.